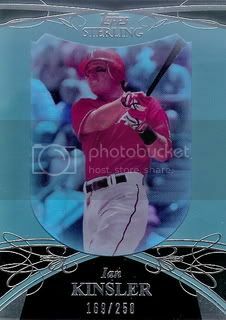 This is our first jersey card from Series One of the 08 Topps set. 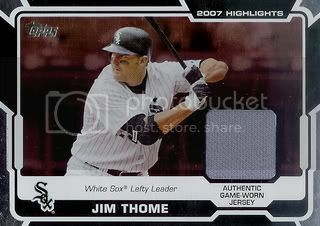 It is of former Chicago White Sox slugger, Jim Thome. 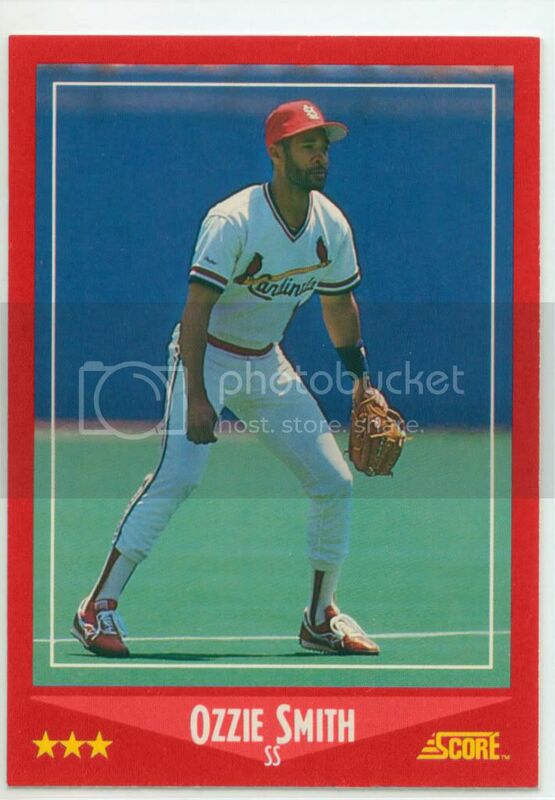 Okay this will be the last 1991 Pro Set Super Stars MusicCards custom for awhile. 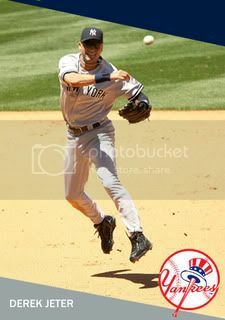 This one is of New York Yankees captain, Derek Jeter. 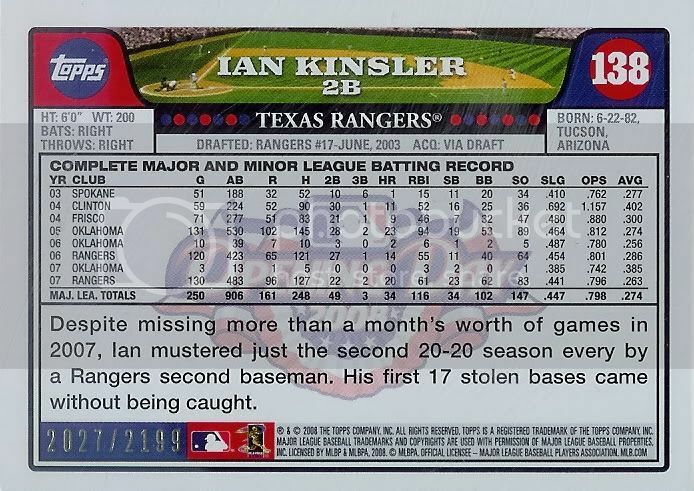 I made it the same night I made the Ian Kinsler. Only took about five mintues. You can see the version with Pro Set's logo by clicking here. The Yankees logo looks so much better. 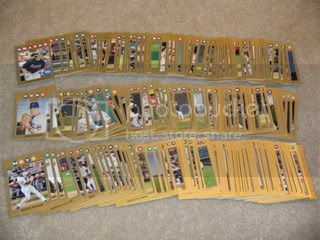 I am now the proud owner of 225 gold border parallel cards from the 08 Topps Updates & Highlights set. Lots of good stuff here. There are a few doubles or triples mixed in but that's okay because I like duplicates. Win an Earl Weaver Autograph! 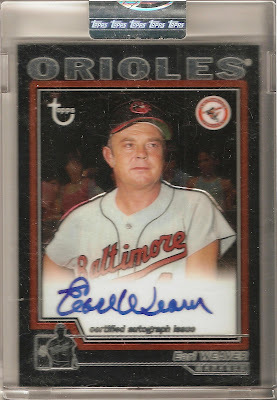 The Great Orioles Autograph Project is giving away an Earl Weaver certified auto as part of their Hall of Fame Week. For details please click here. 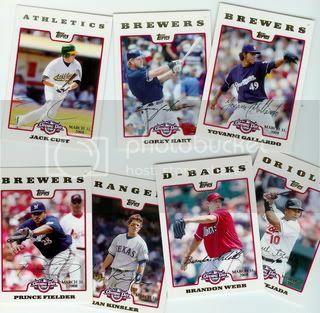 Thanks to eBay I was able to add another 14 card 2008 Topps team set to our collection. This one is of the Pittsburgh Pirates. Picked up my first seven Opening Day White Border Parallel cards. These are basically the Opening Day equivalent to the Gold Border parallels. They're numbered to 2199 on the back and have a March 31, 2008 gold foil stamp on the front. Check them out, they're pretty cool. 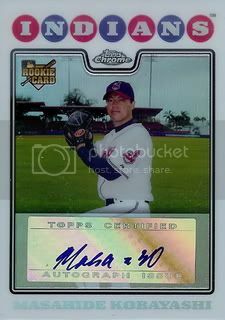 Added a certified autograph of former Cleveland Indians reliever, Masahide Kobayahsi to our collection. Not only is this one a Chrome certified auto, it's a REFRACTOR and is numbered to 500. 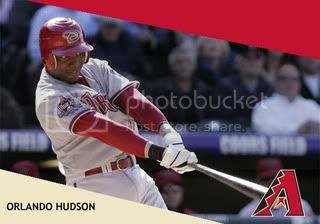 I thought the Orlando Hudson card I made last week was pretty rad so I decided to make another. 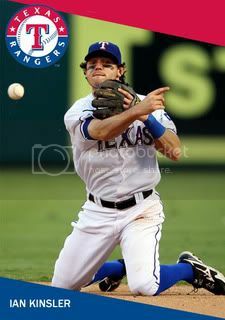 This one is a vertical version of Ian Kinsler. Same classic 1991 Pro Set Super Stars MusiCards design but while I was working on it, I realized I could easily replace the Pro Set logo with the Texas Rangers logo. Awesome! You can see the original with the Pro Set logo by clicking here. I liked the logo so much, I even went back and fixed O-Dog. Picked up another certified auto from the "2007 Highlights" set. This one is of Taylor Tankersley. I thought it was interesting that they gave Taylor an insert in the 08 Topps set but not a regular card. Picked up our second certified auto from the 2008 Opening Day set. 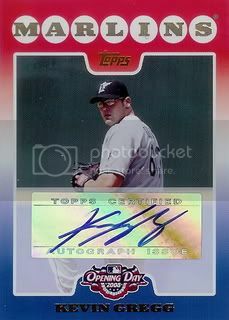 This one is of former Marlins reliever, Kevin Gregg. Great card! Last week Brian from 30-Year Old Cardboard offered up a few 2010 Topps Sterling cards. 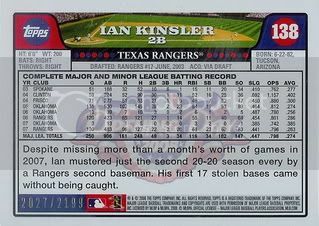 I quickly responded and let him know I was interested in the Ian Kinsler. Ian is one of my son's favorite players. I hadn't seen anything from this set yet and was surprised by how nice the cards are. Thanks, Brian! Good news! Another signed 08 Topps card for our set! 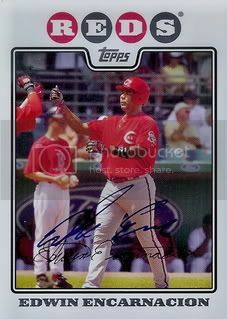 This one is of former Cincinnati Reds infielder, Edwin Encarnacion. Edwin is now with the Toronto Blue Jays and unless they sign a veteran free agent he probably will be their DH next year. I really wanted this black border card and now I have it. My fingers are crossed in hopes of having C.J. Wilson sign it for us during Spring Training. Custom Card Sunday is back! 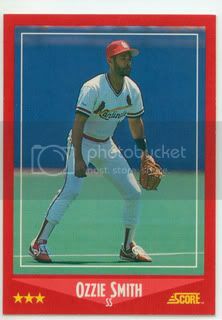 Remember the 1991 Pro Set Super Stars MusiCards? 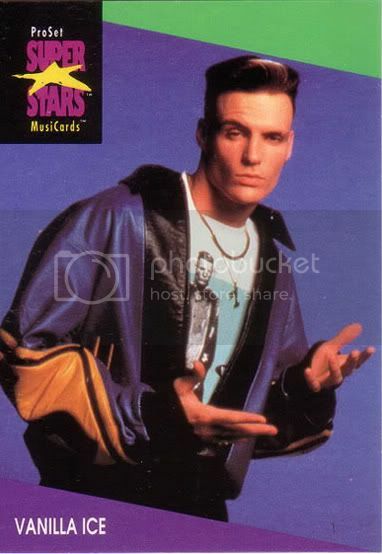 The set featured early 90s music legends like Vanilla Ice. 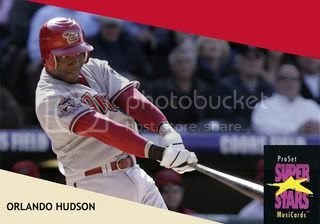 Well I made an Orlando Hudson card based off their design. Former Arizona Diamondbacks outfielder, Luis Gonzalez has long been one of my favorite players. He signed his 08 Topps card for our set. Very cool. On a related note, the 2011 Diamondbacks Fan Fest is less than a month away. 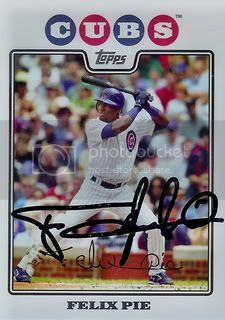 Former Chicago Cubs prospect, Felix Pie signed a card for our set. After spending a few years in Chicago Felix was traded to the Baltimore Orioles where he has fought to be an everyday player. He even hit for the cycle on August 14, 2009. Picked this one up from the same seller who had the Vin Mazzaro auto. Had to pay a little more for this one. Actually six times more... yep whopping six cents. Money well spent. I like Brett Anderson. He's a key part of the A's rotation along with Trevor Cahill and Gio Gonzalez. If they pitch as well as I think they are going to next year, Oakland might find themselves on top of the AL West in October. 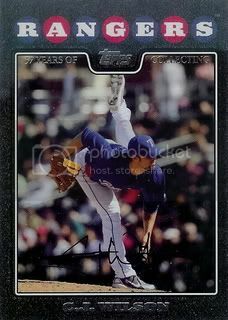 Here goes another signed 08 Topps card. 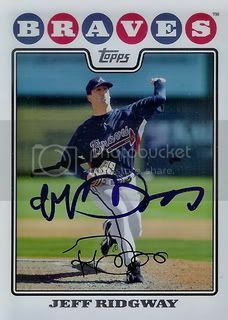 This one is of former Atlanta Braves reliever, Jeff Ridgway. According to his Wikipedia page, Jeff is now with the Washington Nationals organization but hasn't been back to the big leagues since his time in Atlanta. I'll try to start showing off some of the other stuff in my collection in between 08 Topps posts. 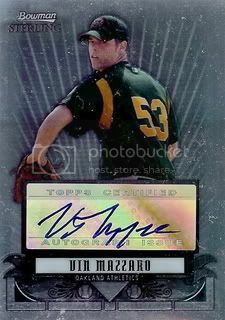 Had a little help picking up this certified autograph of Vin Mazzaro. Got it for the low low price of one cent on eBay. I've only been to two minor league games in my life. The last one was three years ago in Northern California. I saw some guy named Vin Mazzaro pitch for the Oakland A's single A team, the Stockton Ports. Since then he made his way to the big leagues and made quite a few starts the past two seasons. Recently he was the key piece in the trade that brought David DeJesus to Oakland. 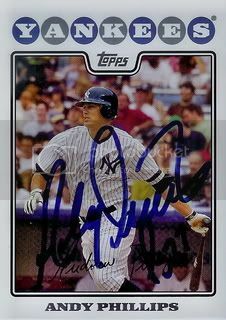 Former New York Yankees infielder, Andy Phillips signed a card for our set. Andy was recently named the hitting coach for the University of Alabama's baseball team. 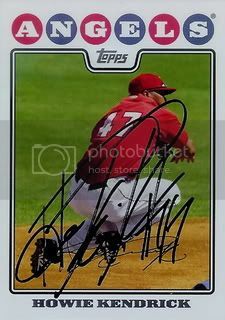 Former New York Yankees prospect, Bronson Sardhina made his MLB debut in 2007 but hasn't made it back to the Majors since. 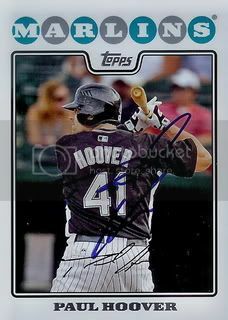 After spending time with the Seattle Mariners and Cleveland Indains organizations, he is currently with the Colorado Rockies. Email me your address and I'll get the box of 2010 Bowman Chrome out right away! Thanks to everyone who entered and a special thanks to Atlanta Sports Cards for donating the awesome prize! We've got a whole lot of new followers. 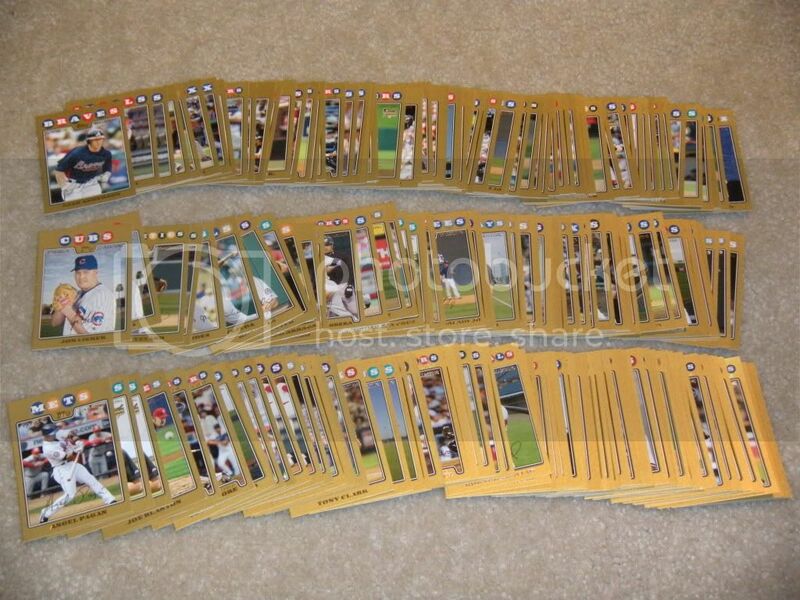 I hope everybody sticks around and follows our progress as we try to get the entire 2008 Topps set signed. Only a few hours left to enter our contest for a chance to win a complete box of 2010 Bowman Chrome. If you've already entered please check out Atlanta Sports Cards. They were the ones nice enough to supply us with this awesome prize. Howie Kendrick signed his card from Series One of the 08 Topps set for us. 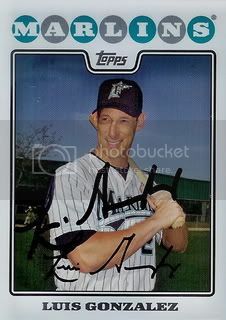 Howie was a tenth round pick by the Angels in 2002. 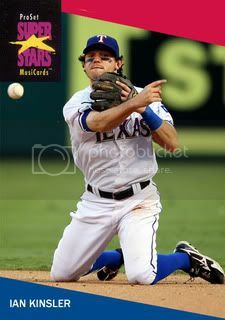 After a few years in the minors, he made his MLB debut in 2006 and has been a fixture in their infield ever since. My dad has been doing some shopping at our favorite card store ( eBay ). I stopped by his house this afternoon and he had these three All-Star jersey cards for me. Thanks, Dad! 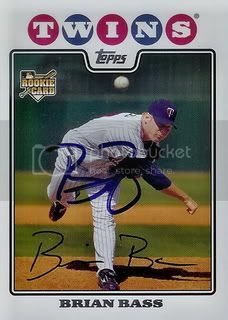 Recently former Minnesota Twins pitcher, Brian Bass signed a card for our set. Brian spent parts of the last three seasons with the Baltimore Orioles and the Pittsburgh Pirates. He is currently a free agent. I'm going to try to catch up on a few cards I got signed last year but haven't had a chance to post yet. 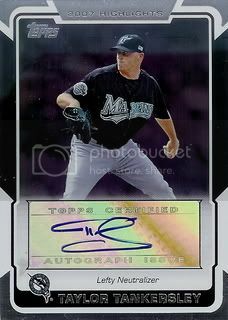 The first is of former Florida Marlins catcher, Paul Hoover. Paul spent the past two seasons with the Phillies and is currently a free agent. Contest - Win a box of 2010 Bowman Chrome! 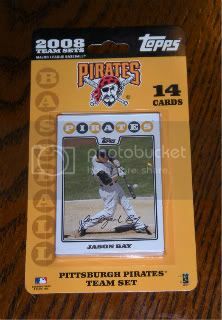 My 2008 Topps Set Blog is proud to announce our first contest! 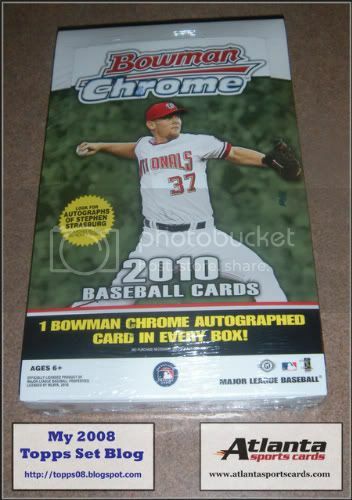 The fine people at Atlanta Sports Cards have donated a complete box of 2010 Bowman Chrome for us to give away. All you have to do for a chance to win is follow my blog! Over in the column on the right side is a section labeled "Followers." Just click on the button that says "Follow" and complete a few easy steps. The only catch is you have to have a registered Blogger ID. If you're already following my blog, you're already entered. Want another chance to enter? Post a link on your blog advertising my contest. Once you've done so, make a comment on this post with a link your post and I'll give you an additional entry. The deadline for submissions will be 11:59 PM PST on Thursday, January 6th. Should be pretty easy but if you have any questions, please ask. Thanks again to Atlanta Sports Cards! If you're not familiar with them, they are the best place to buy boxes online. Please check out their website for some great after-Christmas deals. It's New Year's Day and I guess it's time for my annual look ahead post. I'm glad we met all of our 2010 goals. Hopefully we can do the same in 2011. Progress: 495/990 - Continuing with my strategy from last year, I'm trying to keep this goal as realistic as possible. As our collection of signed 08 Topps cards grows I know we'll reach a point where it's going to be hard to add more new signed cards. That being said, I still think we should be able to reach 50% of the set by the end of the year. Like last year's goal, this might end up being a little bit of a challenge but it should be attainable. 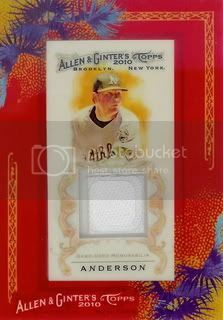 2008 Topps Gold Border Parallel - Right now we only have two Gold Border cards signed. By the end of the year I would like to have at least a dozen. Player Collection - Many other bloggers have player collections and I want to start one too. This should be a fun way to keep my blog updated on the days when I don't have a new signed 08 Topps card to post. Have a Contest - I've seen a lot of blogs having contests recently. Hey, I even won one last year. It's my turn to give something back to my readers. Check back later today for a BIG announcement. I hope you'll be as excited about the prize as I am. Keep My Blog Alive - This is the most important goal. We ended 2010 with nearly 300 posts. I'm kind of amazed I've done so well with finding time to blog this past year. 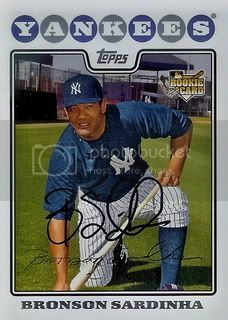 I really enjoy blogging about baseball cards and I want to continue even after I run out of signed 08 Topps cards to post about. In addition to the player collection that will be announced later this year, I have a few other ideas in my head about how I can do so. 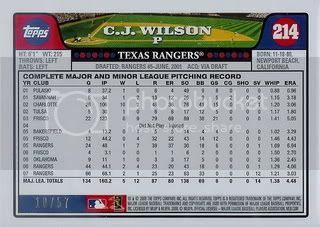 2011 should be another great year for My 2008 Topps Set Blog. Thanks to everyone who's ever read my blog or helped me get a signed card ( bloggers and players included ). Happy New Year!